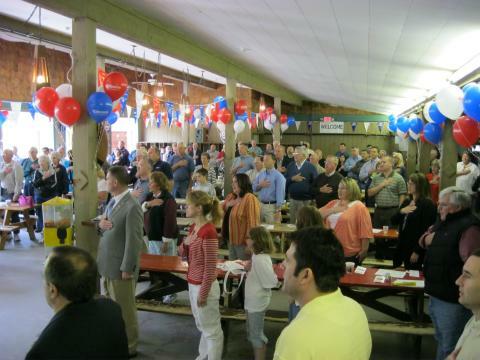 Chris Gibson for Congress held a volunteer rally and meet-and-greet at West Mountain in Warren County on May 1st. 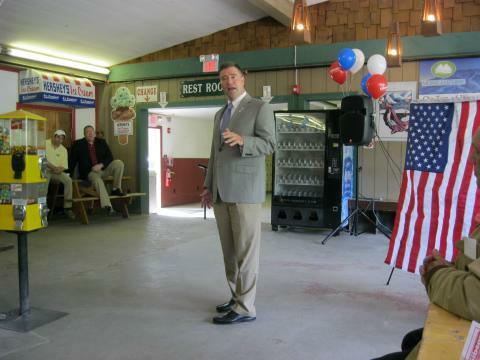 Chris welcomed supporters from Warren, Essex, Saratoga and Washington Counties. 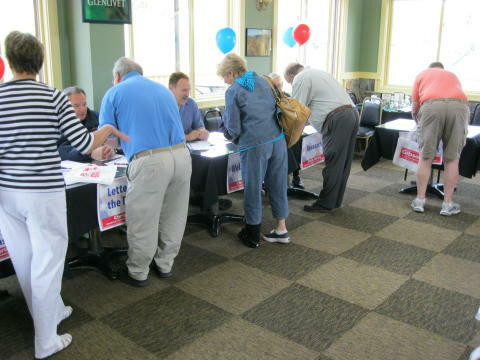 The rally was an opportunity for northern- region supporters to join our volunteer effort. . Supporters also were able to meet their respective County Coordinators and learn how they can help. Over 200 people gave up their Saturday morning to attend this event and hear Gibson speak. Guest appearences and speakers included Patrick Ziegler of Ballston, Dan Stec of Queensbury, Warren County Republican Chairman Mike Grasso and New York State Senator Betty Little. Scheduled for May 22nd, 2010 at the Brunswick Elks Club in Rensselaer County. Contact (E-mail) Joe Johnson or Rich Crist for more details. Here is the video from the Volunteer Summit! This entry was posted in 2010 Congressional elections, America, Ballston, Col. Chris Gibson, Columbia County NY, common sense, Congress, Congressional canditate Chris Gibson, Congressman Scott Murphy, Dutchess County NY, Essex County NY, freedom, Kinderhook, New York, NY, ny 20th congressional district, Rhinebeck, Saratoga County NY, Uncategorized, Warren County NY, Washington County NY. Bookmark the permalink.